1. Risks need to be diversified. There is no risk management if a firm is just taking one big bet. REPORT: Display the risk profile of the firm. Discuss how the firm has increased or decreased diversification within each risk and between risks in the recent past. Discuss how this is a result of deliberate risk and diversification related choices of the firm, rather than just a record of what happened as a result of other totally unrelated decisions. 2. Firm needs to be sure of the quality of the risks that they take. This implies that multiple ways of evaluating risks are needed to maintain quality, or to be aware of changes in quality. There is no single source of information about quality that is adequate. REPORT: Display the risk quality of the firm. Discuss how the firm has increased or decreased risk quality in the recent past and the reasons for those changes. Discuss how risk quality is changing in the marketplace and how the firm maintains the quality of the risks that are chosen. 3. A control cycle is needed regarding the amount of risk taken. This implies measurements, appetites, limits, treatment actions, reporting, feedback. REPORT: The control cycle will be described in terms of who is responsible for each step as well as the plans for remediation should limits be breached. A record of breaches should also be shown. (Note that a blemish-less record might be a sign of good control or it might simply mean that the limits are ineffectively large.) 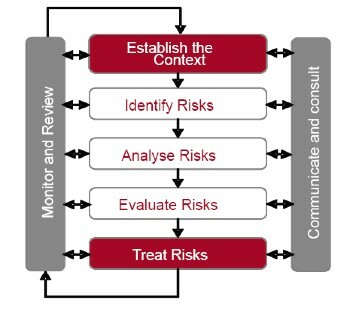 Emerging risks should have their own control cycle and be reported as well. 4. The pricing of the risks needs to be adequate. At least if you are in the risk business like insurers, for risks that are traded. For risks that are not traded, the benefit of the risk needs to exceed the cost in terms of potential losses. REPORT: For General Insurance, this means reporting combined ratio. In addition, it is important to show how risk margins are similar to market risk margins. Note that products with combined ratios over 100% may or may not be profitable if the reserves do not include a discount for interest. This is accomplished by mark-to-market accounting for investment risks. Some insurance products have negative value when marked to market (all-in assets and liabilities) because they are sold with insufficient risk margins. This should be clearly reported, as well as the reasons for that activity. 5. The firm needs to manage its portfolio of risks so that it can take advantage of the opportunities that are often associated with its risks. This involves risk reward management. REPORT: Risk reward management requires determining return on risk for all activities as well as a planning process that starts with projections of such and a conscious choice to construct a portfolio of risks. This process has its own control cycle. The reporting for this control cycle should be similar to the process described above. This part of the report needs to explain how management is thinking about the diversification benefits that potentially exist from the range of diverse risks taken. 6. The firm needs to provision for its retained risks appropriately, in terms of set asides (reserves or technical provisions) for expected losses and capital for excess losses. REPORT: Losses can be shown in four layers, expected losses, losses that decrease total profits, losses that exceed gains from other sources but that are less than capital and losses that exceed capital. The likelihood of losses in each of those four layers should be described as well as the reasons for material changes. Some firms will choose to report their potential losses in two layers, expected losses, losses that reach a certain likelihood (usually 99.5% in a year or similar likelihood). However, regulators should have a high interest in the nature and potential size of those losses in excess of capital. The determination of the likelihood of losses in each of the four layers needs to reflect the other five aspects of ERM and when reporting on this aspect of ERM, discussion of how they are reflected would be in order. Survivor Bias creates support for bad risk models. If a model underestimates risk there are two possible outcomes – good and bad. If bad, then you fix the model or stop doing the activity. If the outcome is good, then you do more and more of the activity until the result is bad. This suggests that model validation is much more important than just a simple minded tick the box exercize. It is a life and death matter. BIG is BAD! Well maybe. Big means large political power. Big will mean that the political power will fight for parochial interests of the Big entity over the interests of the entire firm or system. Safer to not have your firm dominated by a single business, distributor, product, region. Safer to not have your financial system dominated by a handful of banks. The world is not linear. You cannot project the macro effects directly from the micro effects. Due Diligence for mergers is often left until the very last minute and given an extremely tight time frame. That will not change, so more due diligence needs to be a part of the target pre-selection process. For merger of mature businesses, cultural fit is most important. Regulators are sitting and waiting for a housing market recovery to resolve problems that are hidden by accounting in hundreds of banks. Why do we think that any bank will do a good job of creating a living will? What is their motivation? We will always have some regulatory arbitrage. Non-financial businesses are opposed to putting OTC derivatives on exchanges because exchanges will only accept cash collateral. If they are hedging physical asset prices, why shouldn’t those same physical assets be good collateral? Or are they really arguing to be allowed to do speculative trading without posting collateral? Probably more of the latter. it was said that systemic problems come from risk concentrations. Not always. They can come from losses and lack of proper disclosure. When folks see some losses and do not know who is hiding more losses, they stop doing business with everyone. None do enough disclosure and that confirms the suspicion that everyone is impaired. Systemic risk management plans needs to recognize that this is like forest fires. If they prevent the small fires then the fires that eventually do happen will be much larger and more dangerous. And someday, there will be another fire. Sometimes a small change in the input to a complex system will unpredictably result in a large change in the output. The financial markets are complex systems. The idea that the market participants will ever correctly anticipate such discontinuities is complete nonsense. So markets will always be efficient, except when they are drastically wrong. Conflicting interests for risk managers who also wear other hats is a major issue for risk management in smaller companies. People with bad risk models will drive people with good risk models out of the market. Inelastic supply and inelastic demand for oil is the reason why prices are so volatile. It was easy to sell the idea of starting an ERM system in 2008 & 2009. But will firms who need that much evidence of the need for risk management forget why they approved it when things get better? If risk function is constantly finding large unmanaged risks, then something is seriously wrong with the firm. You do not want to ever have to say that you were aware of a risk that later became a large loss but never told the board about it. Whether or not you have a risk management program. Not about risk management but, if you can get your head around Buffett’s comment about upside, there is a logical counterparty about downside. In the book “The Greatest Trade Ever: The Behind-the-Scenes Story of How John Paulson Defied Wall Street and Made Financial History”, Greg Zuckerman tells just how difficult it was to be among the few investors who saw that the US mortgage market was overheated – that the market value of the houses and the securities written on the mortgages on those houses were all dollar bills being traded over and over again at $2. But that was aggressive trading. The risk management response with that knowledge would been to stay away. And many, many financial institutions did stay away. All of the press went to the firms that played that game to their and all of our detriment. So the Paulson story of good to read because it tells about the other side of some of the trades. And there always in another side, no matter how poorly the press chooses to cover it. And the other side of the risk mismanagement by the largest banks and AIG is the risk management of the firms who were not exposed to overpriced mortgage securities. But it is hard to make a story about the exposures that those firms did not have. Which is one of the puzzles of risk management. Sometimes the greatest successes are when nothing happens. In the simplest terms, basis risk is the difference between the hedge you bought and the risk that you own. Especially the difference that is most noticeable when you had expected to be needing the hedge. But that is not the topic here. There is another Basis Risk. That is the risk that you are using the wrong basis to judge your gains and losses. This risk is particularly prevalent right after a bubble pops. Everyone is comparing their wealth to what they thought that they had at the height of the bubble. Think about a situation where someone made an error in preparing your brokerage statement. That IBM stock you have was worth $100,000. The mistake was that an extra zero slipped in somehow. The position was recorded as $1,000,000. Add that in to your net worth and most of us would have an exaggerated feeling of wealth. Think of how destructive to your long term happiness it would be if you really came to believe that you had that extra $900,000? Two ways that could be destructive. First of all, you could start spending other funds as if you had all that excess value. Second of all, once you were informed of the error, you could then undertake more aggressive investments to try to make up the difference. The only way to be safe from that destruction is if you never believe the erroneous basis for the IBM stock. Possibly more realistic, think of someone in a casino. During their day there they bet on some game or other continuously. At one point in the visit, they are up by $100,000. When they leave, they are actually down by $1000 compared to the amount they walked in the door with. Should they tell people you lost $1000 or $101,000? In both cases, it sounds silly to even think for long about the larger numbers as your “basis”. But that seems to pervade the financial press. Unfortunately, with regard to home values, many folks were persuaded to believe the erroneous valuation at the peak of the market and to borrow based upon that value. So, now you know what is meant by this type of “Basis Risk”. Unfortunately, it is potentially much larger than the first type of basis risk. Behavioral Finance abounds with examples of how the wealth effect can distort the actions of people. Possibly, the reason that the person in the casino walked out with a $1000 loss is realted to the sorts of destructive decisions that are made when wealth is suddenly increased. Therefore, it is much more important to protect against this larger basis risk. To protect against this type of risk requires a particularly strong ability to stick to your own “disciplined realism” valuation of your positions. Plus an ability to limit your own valuation to include only reasonable appreciation. Mark to mark is the opposite of the disciplined realism, at least when it comes to upside MTM. For downside movements in value, it is best to make sure that your disciplined realism is at least as pessimistic as the market. This is a very different approach than what has been favored by the accounting profession and adoppted by most financial firms. But they have found themselves in the position of the second story above. They feel that they have made gigantic profits based upon the degree to which their bets are up in the middle of the session. They have not left the casino yet, however. And that is the last place where disciplined realism needs to be applied. Most of us have been schooled to believe that “realized gains” are REAL and therefore can of course be recognized. But think of that second story about the casino. If you are taking those gains and putting them right back on the table, then you really do not “have” them in any REAL sense. Firms need to adopt disciplined realism by recognizing that a series of similar positions are in reality not at all different from a single position held for a long time. The gains should not be recognized until the size of the position is significantly reduced. is an old maxim for risk adjusting asset valuation. It suggests a 50% discount for recording unrealized values. Notice that is not a discount for recognizing unrealized GAINS, it is a discount on VALUE. You have to wonder whether that 50% discount is because there is only a 50% chance that you will catch a bird in the bush or if it reflects a higher chance of actually catching the bird, plus some risk premium because there is some chance that you will catch none. Is catching none your risk tolerance, or can you go several days without bird for supper, so you have a risk tolerance of zero birds for two or even three days? How do you provide for that worst case? Do you hold a bird in reserve? Or half a bird? How do you keep the reserve bird? Do you have to feed it or refrigerate it? Older versions of the saying show a much higher discount. Two versions from the 1400’s suggest a 90% discount for birds that are on the fly or in the wood. Were the risk tolerances much lower then or methods of catching birds much less developed? We may never know. But times change and discounts change. Following the pattern of diminishing discounts, the current standard is that one bird in the hand is worth one bird in the bush according to current accounting standards. That is called mark to market accounting. Older acounting standards might have applied 100% discounts to unrealized GAINS. But the current wisdom is to not discount anything ever. So holding cash is exactly the same as holding paper that does not even promice to be worth any cash if at some time in the recent past, someone thought that paper had a particular value. With a 50% discount on unrealized VALUES, there was little chance of ever having to do a write-off. Usually recoveries even in dire situations exceed 50%. With no discount, there is a very high chance of a write-off because the assets are booked at a value that is the most that one might expect to recover. Clever people have figured ways to go even further. For assets where there are no easy market prices, they get to count future birds that they haven’t even seen yet. That is one reason why banks are fighting so hard to keep derivatives off of exchanges, so that they can keep those future birds on their books and do not have to suffer the discounts that an exchange would impose.